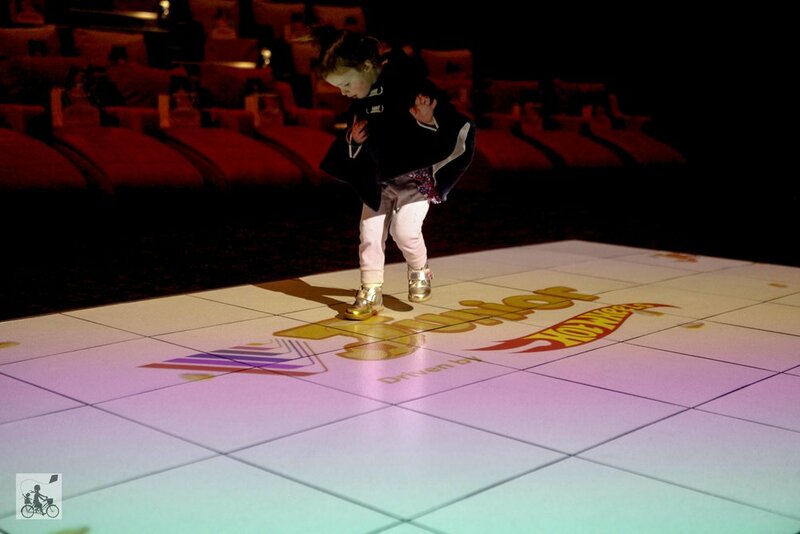 Your family movie going experiences are about to be transformed and it is nothing like you have ever seen before - unless of course you have visited the first Melbourne vjunior at Southland. The whole adventure however, starts before the opening credits. The foyer of vjunior - yes there is a separate section from the regular cinemas - is fully equiped with blocks, colouring in stations, dress up boxes and car tracks. Snacks are nearby and once everyone is ready you can head on in. The seats are set up in three sections - the front recliners, the super squishy and junior sized beanbag style couches and then your more adult friendly standard leather seats. 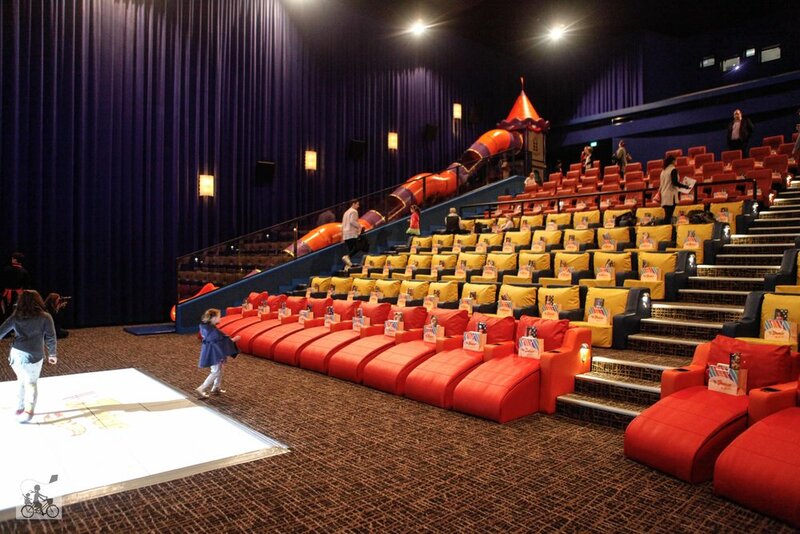 Of course if there is time, the kids can fly down the slide that is so long that it spans the entire length of the cinema itself. Or you can play on the interactive screen at the front. All this fun happens even BEFORE the previews start. Movies shown in these cinemas have had the noise turned down a little, the lights stay on nice and low and the film itself is paused half way through for that all important toilet break and a bit more of a play with your newly made friends. Our trip to the movies with kids will never be quite the same! Vjunior is also open at Knox. Mamma's special mention: These cinema sessions are bound to be SUPER popular so we HIGHLY recommend you book online to avoid disappointment at the box office.